Fell the speed of 500w motors on a Longboard!!! 30km/h, enjoy uphills and then just long board down hill ! or just take it by the port ! 10€ per hour, We will teach you and give some info of nice-cool spots, we provide transportation 5€ p/p !!. 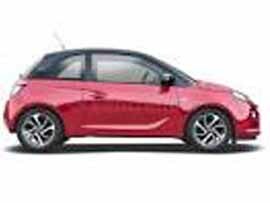 300€ deposit. 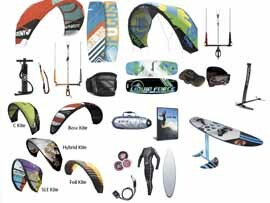 We provide what you need for wakeboarding in style! Board for beginners (Base Mission 140) or Freestyle pro (Hyperlite Franchise), we include rope (Base), wetsuit and life jacket (Obrien), half day 25€, full day 40€, 1 week 200€, We provide transportation!!. 200€ deposit. 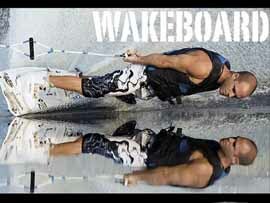 Wakedisc, is a fun way for all! It is a Inflatable disc to be toll from any dinghy or boat, easy to use! you can turn and do 360! it is a step before to waterskies or wakeboarding, We include rope and life jacket. Half day 20€, Full day 35€, 1 week 170€, We provide transportation!. 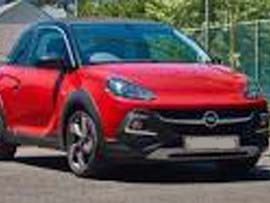 300€ deposit. We have rigid boards, Illetas or Portixol, 10€ 1 hour, 15€ 2 hours, 20€ 3 hours, 25€ 8 hours, 1 week 100€, tours 2 hours for 20€ p/p we provide transportation!. ID or 100€ as deposit. 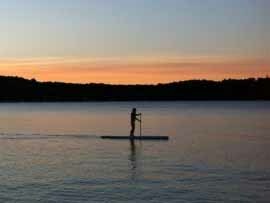 Tandem rigid Kayak sit on top, at Illetas all year available! include snorkel and wetsuit if needed! Price per person: 15€ 2 hour, 20€ 4 hours, 25€ 6 hours, 25€ tours 3 hours with snorkeling and coastjuping! We provide pickup service! 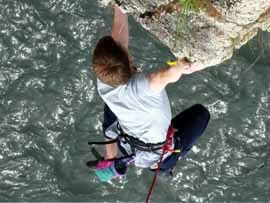 Ropes, harness or just climbing shoes you are in the right spot! our rentals per day: Rope 15€, harness 5€, shoes 5€ quickdraws 15€, special offers 2 persons equipment: 1 day 50€, 2 days 65€, 3 days 80€, 5 days 100€, We provide pickup service!. 30€ to 300€ for deposit. 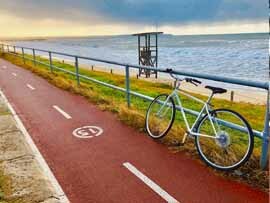 Just imagine a city cool bike but with the beach style! oh yes we have them! Not heavy, fast, and so cumfy! like a beach cruiser! 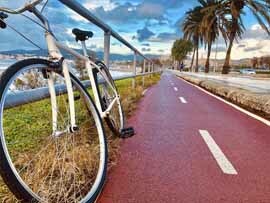 1 day 5€, Mtb front and double suspention 10€ per day, Palma. 100€ deposit. Boat rental: Vision boat, Transparent Floor! No license needed!! We have a Inflatable boat with rigid transparent buttom! See under water all you want! 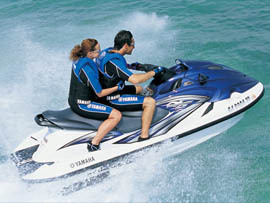 4 mts and can carry up to 4 persons, it has a 8hp motor easy and safe, on the boat there is music and icebox! snorkeling equipment! 2 hours 40€, 3 hours 60€ Illetas. ID and 100€ for deposit. 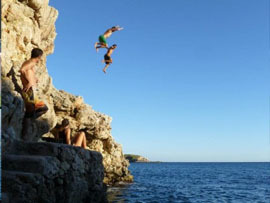 In Mallorca you can find many Extreme sports all year check out our offers now available. Take it where you like! 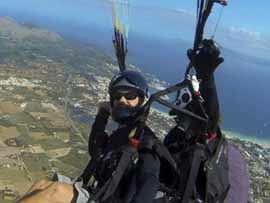 20 minutes flight with a tandem instructor, injoy the view like a bird of the bay of Alcudia, We fly from 12:00 to 17:00 price 85€ per person . 3 to 4 hours kayak tour including snorkeling and coastjumping special offer 25€ per person. Yes it exists ans we have it! 4 meter boat inflatable with vision floor! and with a 8 hp motor no licence needed! 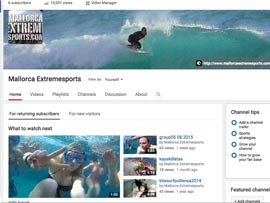 See many photos and videos of our tours and real clients on action in our Facebook or youtube channel. Thank you for what can only be described as the most exhilarating experience ever. 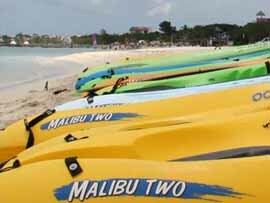 X Kayak snorkel and coastjumping best tour so far in water in Mallorca Keep on with your great service. Was für a Gaude! Das erste Mal auf dem Wakeboard und auf Anhieb übers Wasser gebrettelt. Danach durfte ich noch eine Runde auf seinem selbstgebauten Brettl drehen. Ob Paddeln, Klettern oder mit der Slackline übers Wasser balancieren, Angel's Touren sollten in keinem Mallorca Urlaub fehlen. Vorsicht Suchtgefahr!. 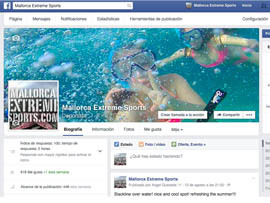 Fundada en 2009 Mallorca Extreme Sports.com Alquileres de equipos deportivos en Mallorca, Oficina privada en Palma, base de Alquiler Illetas.